Congratulations. Conditions for Gaia to transition into 5d have been met. Wooo hooo!!! 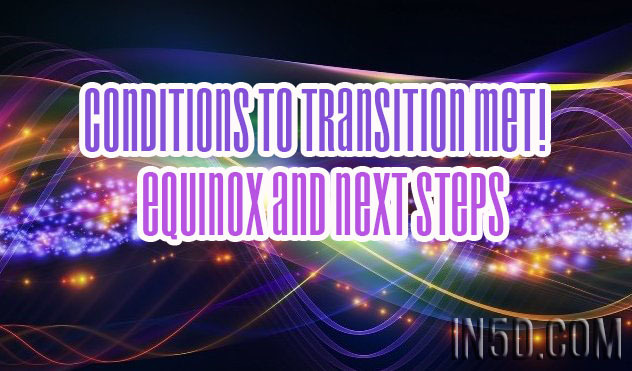 Equinox presents us with another great opportunity to make another leap in our transition. Teamwork, cooperation, and creativity are key for our next steps.